Jason provided a fantastic service, car repaired to a high standard at a reasonable price within 24 hours of call. I would definitely recommend and use again in the future. Excellent service provided from Jason and the Team. The whole process from getting the free quote through to getting the work completed ran smoothly and the service to pick up and drop off my car was also a great part of the service. 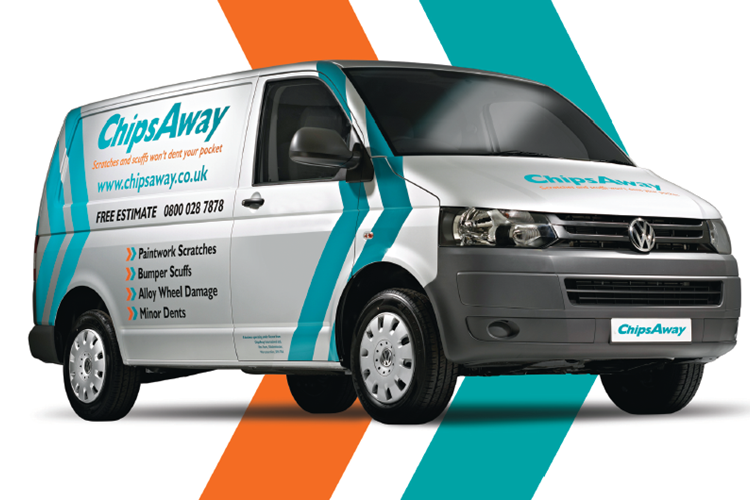 I would recommend Chips away in the Leicester North area to anyone that needs to get small repairs done on their vehicle. I highly recommend ChipsAway in Birstall. Jason and Barry are great blokes and are experts at body repair. I'm delighted with the work that they carried out on my Range Rover and I would not hesitate to refer my friends and family to them. Excellent service, communication and speed of response. I would always recommend them to anyone. Thank you Barry you have been great and fabulous team. I found Barry and Jason at ChipsAway to be very easy to deal with and they provided a good service. They were both friendly and prompt, gave a very reasonable quote straightaway, and when my car was repaired I was happy with the work they had done and would definitely recommend them to friends and family. I think for dents and scratches they probably are the best out there. Needed a key scratch repair for my lovely car.... Very impressed from start to finish. Quick response to initial enquiry. Flexible and accommodating. Competitive pricing and able to do the work quickly. Faultless repair- you’d never know! Professional and friendly service from Barry and Jason. Id highly recommend. I am really impressed with the quality of the work the guys at the Leicester North branch have achieved on the alloy wheel of my Peugeot 308. Having scuffed the alloy quite badly in a car park, I had expected I would have had to replace it but the ChipsAway guys have achieved a minor miracle and the wheel looks like new with no ... Read more signs of the damage. Well done and I will be certainly be recommended you to everyone. Barry and Jason very accommodating with my busy schedule worked around me easy and effortless on my part, very good work being from the industry years ago excellent work in a day. Have used this company on 2 occasions to fix dents and scratches on a Ford Focus and a damaged bumper on a Ford Fiesta and they did an excellent job. Cheaper too if you don't want to lose your No claims bonus particularly if you have a high excess. Contact Barry Peck at the local (Loughborough) Chipsaway, North Leicester branch for advice and a quote. Excellent repair job completed by caring, pleasant Jason at Birstall, Leicester branch. I hope I never cause damage to my car again but know who to call if I do! Jason at Birstall excellent service and results. Collected my car and delivered it back - until the next time I need them ???? Saw Barry at Leicester North, friendly efficient professional. Would highly recommend. Not out to charge you for work not required. Will certainly use again if I ever have the need. Quick to respond with an estimate and super easy to deal with. Professional operation, easy to sit & wait, even got a cuppa! Felt like an honest, hard-working franchise with personable staff. Excellent customer service, 2nd time I’ve used Leicester North ChipsAway and been very happy with the job Barry and his Team have done. Barry was extremely helpful and fitted my car in for repair within a few days with collection and delivery of my car same day. I would highly recommend Leicester North branch. Did a fantastic job on my car on both occasions. Yet another great job! Some wonderful person decided to scrape down the side of my car, probably with a trolly, in the Homebase car park in Leicester. The car left this morning looking a sight and came back this afternoon looking as new. Thanks so much, guys, what would we do without you?